Are you a high volume carpet store or a very busy carpet installer that have tons of rebond carpet pad & Polyurethane foam to dispose of? We make it simple and setup a drop box at your location that we will routinely empty for you. Recycling has come a long way in the last few decades and it has infiltrated everywhere, including carpeting. Carpet pad recycling has helped to make even getting rid of your carpet pad safer for the environment by keeping it out of the local landfill. It is estimated that approximately 125 million tons of carpet padding is thrown away each and every year, just in residential areas. This large amount of waste can be recycled into other products to help keep them out of the landfill. 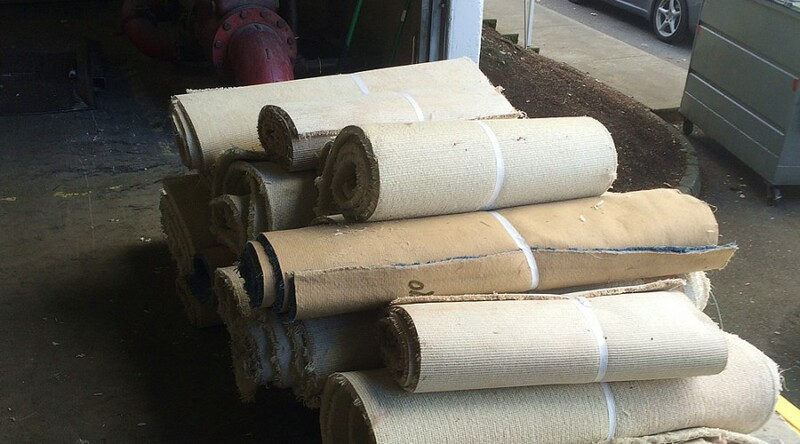 Recycled carpet padding can be used for many different products, including mixed fiber products like geotextiles, lumber alternatives, carpet tack strips, fiberboard, under-the-hood auto parts, and sod reinforcement. Some fibers from carpet padding are also used to create new carpeting. All of these alternatives are much healthier for the environment and it can make you feel better about getting rid of that old, nasty carpet padding. Carpet pad recycling and recycled carpet padding can help to make your carpet removal and installation healthier for you and the environment. We make it simple and setup a drop box at your location that we will routinely empty for you.